Punitive Damages | Nashville Injury Lawyers The Law Offices of John Day, P.C. While compensatory damages are designed to compensate the victim, the purpose of punitive damages is to punish the wrongdoer for engaging in the conduct which caused the injury. In some states, the punitive damage award is placed into a state-controlled pool to help victims of crime, etc. In Tennessee, the victim actually receives the punitive damage award. 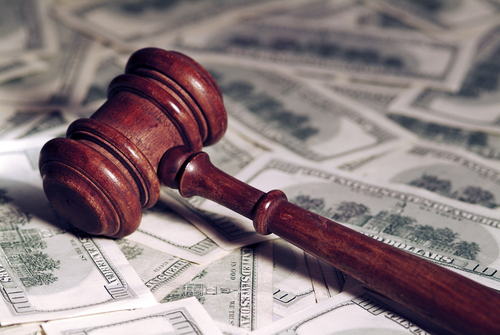 So, if punitive damages are awarded in your case, then you will receive that money in addition to your compensatory damage award. Because punitive damages are quasi-criminal in nature, a heightened burden of proof is required to establish entitlement to punitive damages. The burden of proof is best defined as the amount of evidence necessary to win your case. For punitive damages, the burden of proof is clear and convincing evidence (rather than the preponderance of the evidence required for compensatory damages). While clear and convincing evidence is a greater burden of proof than preponderance of evidence, it is not quite as high as the burden of proof required in a criminal case (beyond a reasonable doubt). In addition, punitive damages can only be awarded if you prove the wrongdoer acted recklessly, knowingly, maliciously or intentionally. It is not enough to simply prove negligence. Punitive damage law is complex, but the award-winning attorneys at The Law Offices of John Day, P.C. are experienced in successfully handling punitive damage issues. We are proud of the results we have achieved for our clients and we would like to help you and your family too. If you or a loved one has been injured, and you would like to discuss your case, contact us online or call us at 615-742-4880 or toll-free at 866.812.8787. We handle all injury and wrongful death cases on a contingency basis which means we only get paid if we recover money for you.